The ESPRESSO SPORT / TOUR 800 EQ is a step-through model that suits ladies and gentlemen who prefer a step-through style of bike for the ease of getting on and off and also prefer the battery to be located within the frame for superior performance to having it located in a rear rack. 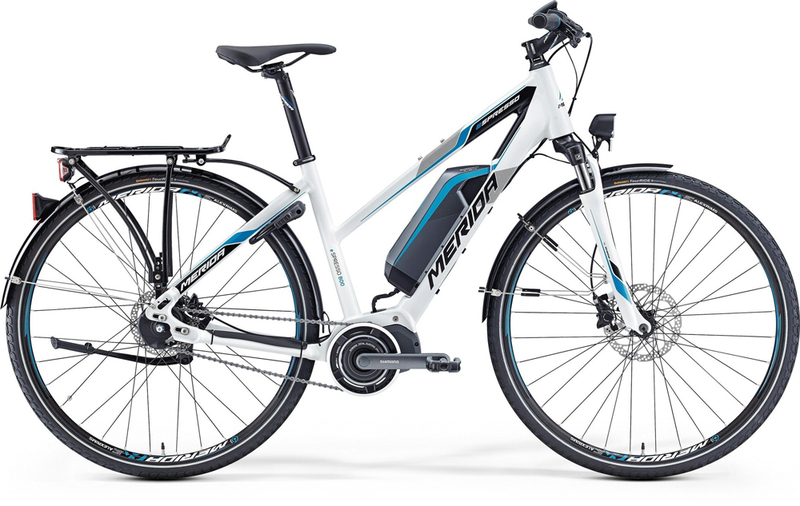 This is MERIDA’s top end commuter bike, it has electronic gear shifting of the internal 8 speed SHIMANO hub gear as well being equipped for commuting with integrated front and rear lights and a carrier rack. The gear shifting, motor power assistance and lights are all controlled and visualised through switches on the handlebar and an easily visible display. This is a popular bike that is extremely robust and is ideal for many commuters. Please come into our shop to take it for a test ride. More information is available from MERIDA’s website here.